Robots plus the American Civil War equals instabuy. The release of Zachtronics' card-based strategy Ironclad Tactics is almost upon us. The team has opened up pre-orders on the official website, offering a few digital and physical bonuses if your blood runs red with Ironclad. From the minds behind SpaceChem and a handful of hyper-difficult puzzle games "for engineers", Ironclad Tactics looks to bring a touch of steampunk to the American Civil War. The real-time strategy game uses cards to push the action forward, setting up strategies that involve a touch of luck but a few more touches of skill. It all takes place in a fast-paced environment that's probably going to make your head spin. In a good way. Ironclad Tactics will feature two multiplayer modes: co-op and competitive. It looks like gameplay is limited to two players in both instances, but we'll have to wait and see for the final word on that. Besides, we were already hooked by the whole "steam-powered military robots" line. 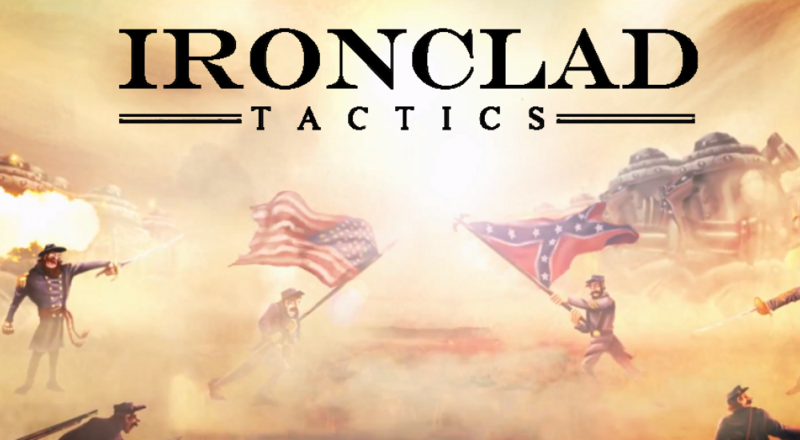 Ironclad Tactics is set to launch September 18th for PC via Steam and the official website. Page created in 0.8677 seconds.